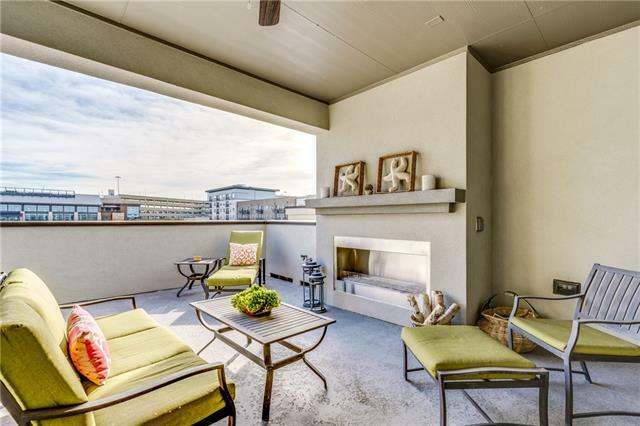 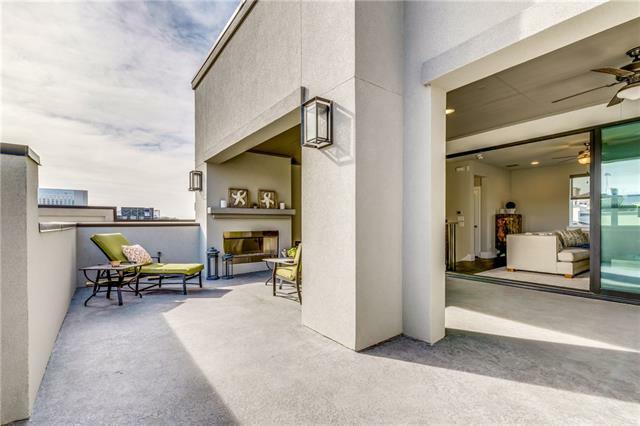 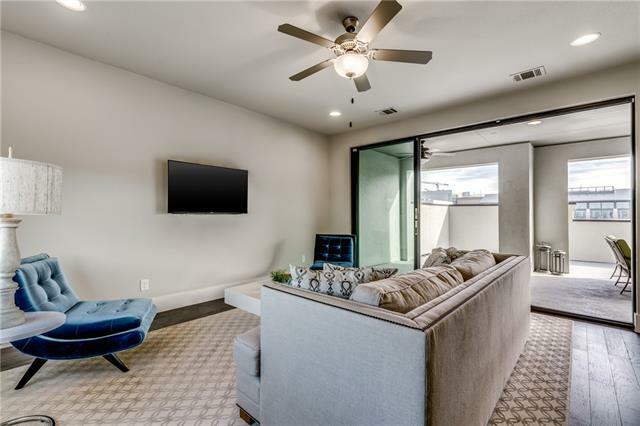 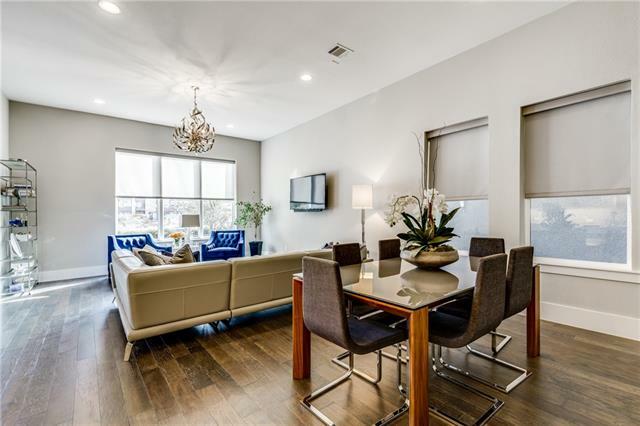 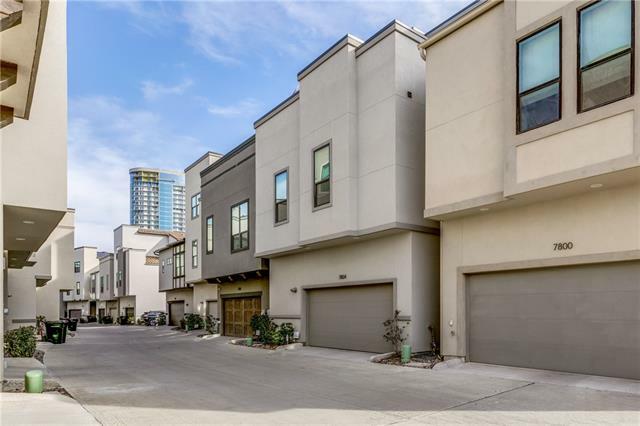 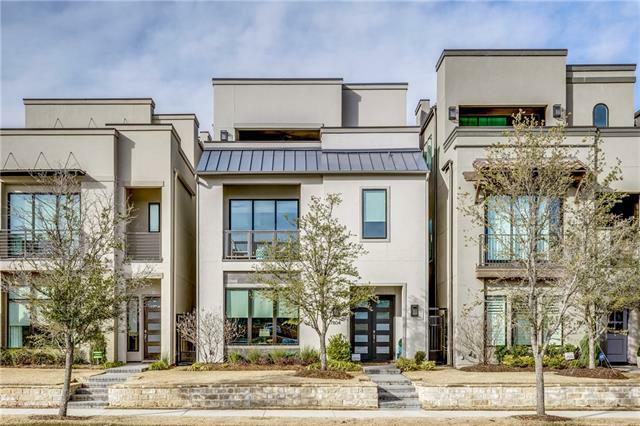 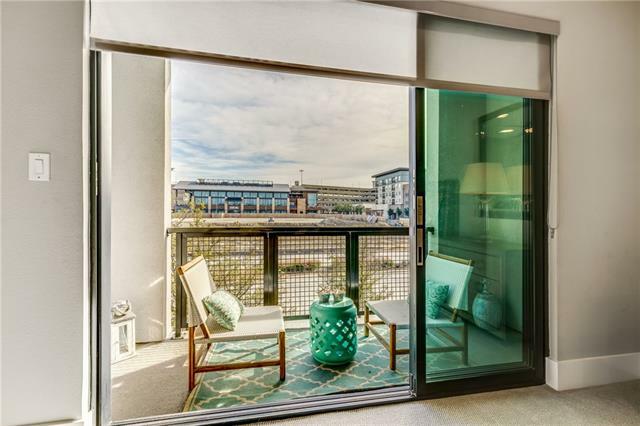 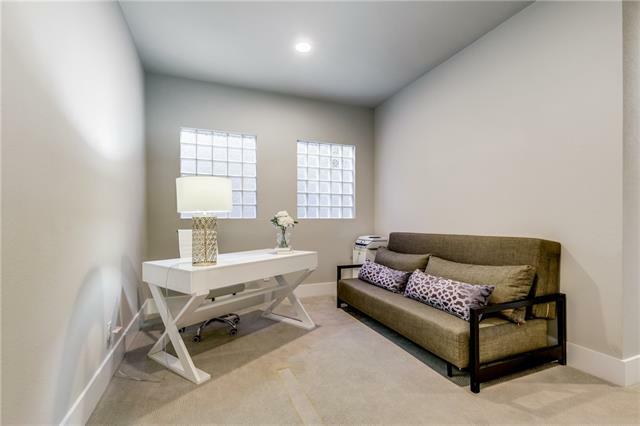 Enjoy luxury urban living in this high-end community located just seconds from casual or fine dining, shopping, boutiques, and major entertainment venues. 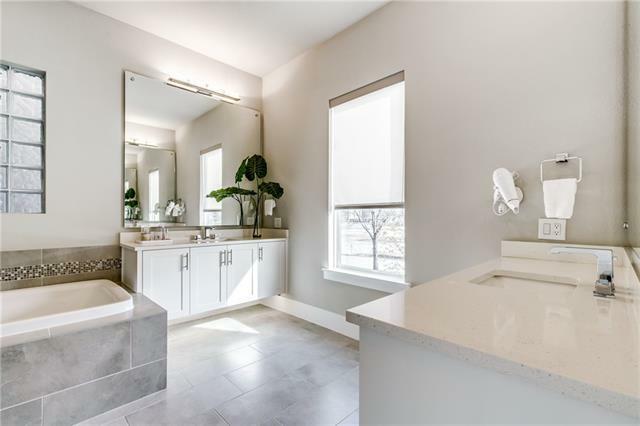 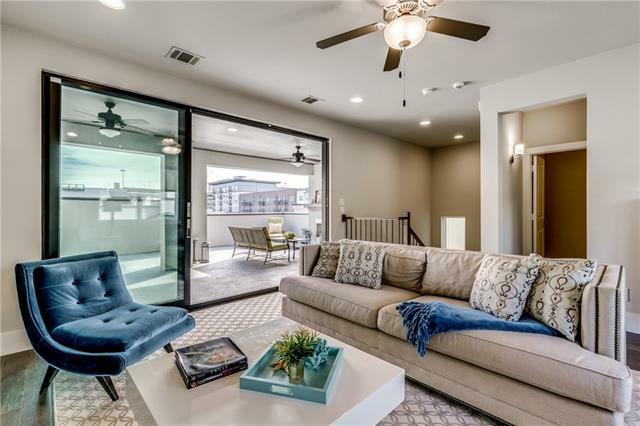 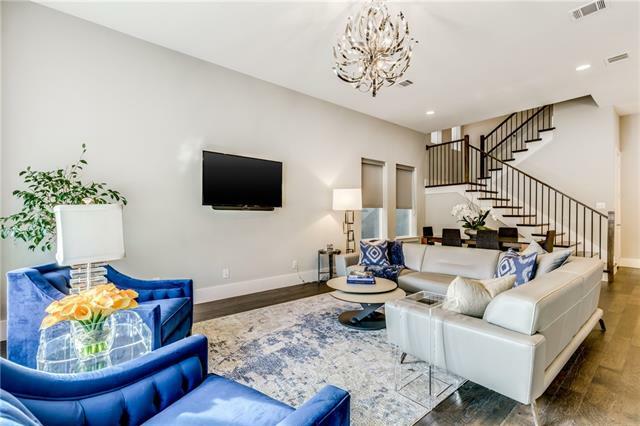 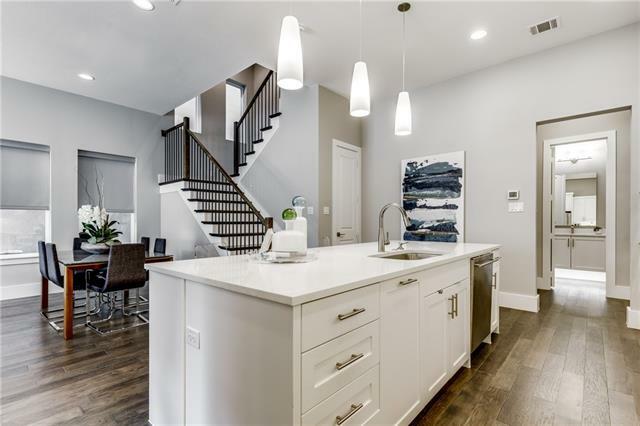 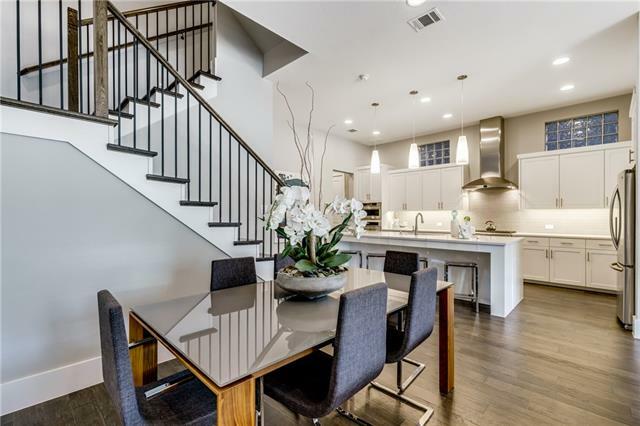 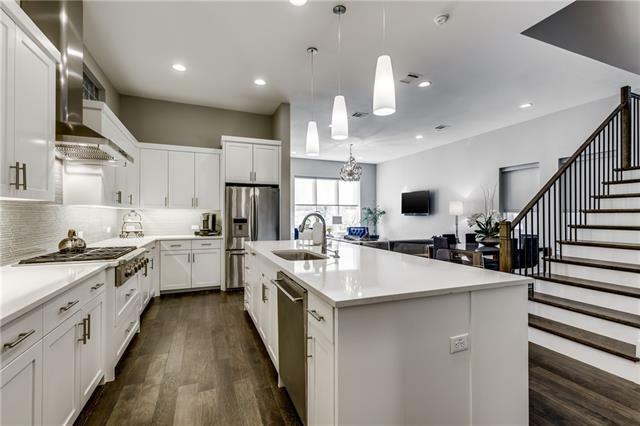 This contemporary home, built by the quality builder, Britton Homes, sits on a premium lot and is loaded with energy-efficient features and sleek modern finishes. 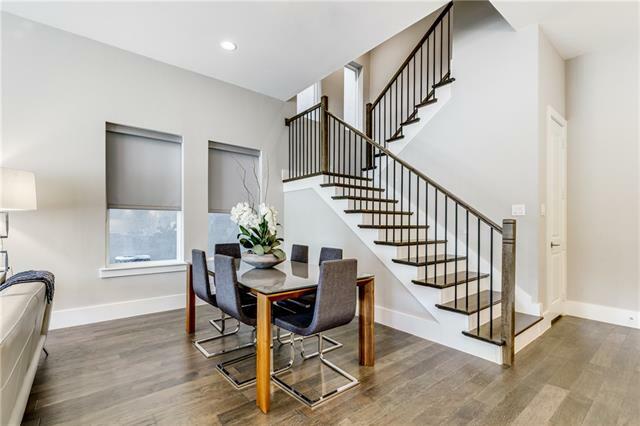 Impressive engineered hardwood floors flow from the spacious entry foyer throughout the first level. 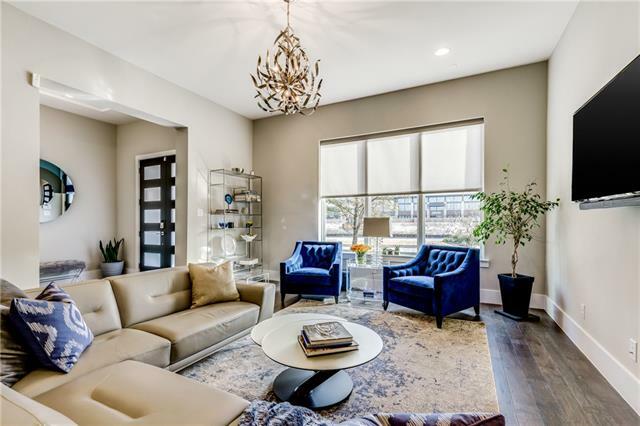 In the Living Room, the stunning chandelier sparkle as natural light streams from the Low-E dual pane insulated wall of windows. 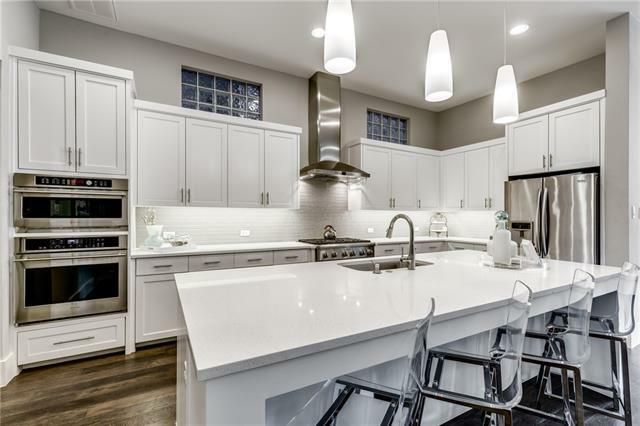 The masterfully planned Kitchen is showcased with pendant lighting, under counter lighting, and recessed canned lighting which highlight the gleaming quartz countertops and glass tile backsplash. 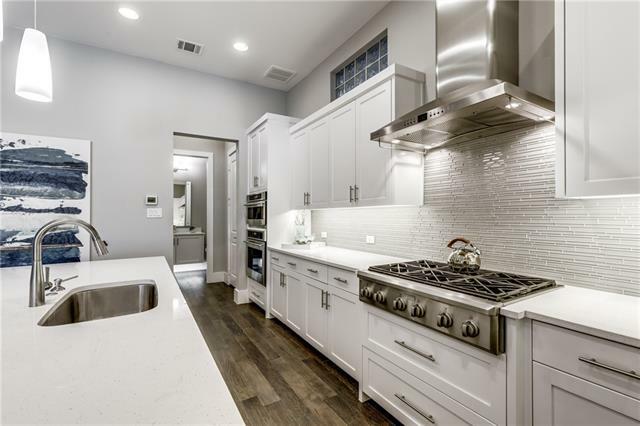 The Kitchen is equipped with GE Monogram stainless steel appliances, including a 6-burner gas range top with vent hood, convection oven with Wi-Fi connect, Advantium oven with speedcook technology, and dishwasher with stainless steel tub and WiFi connect. 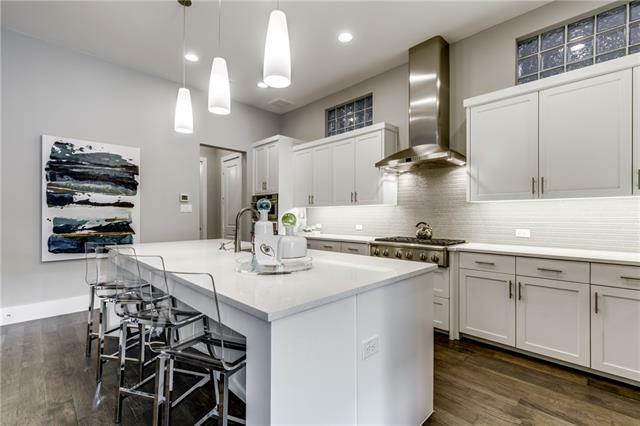 A walk-in pantry and hand finished white cabinets offer plenty of storage. 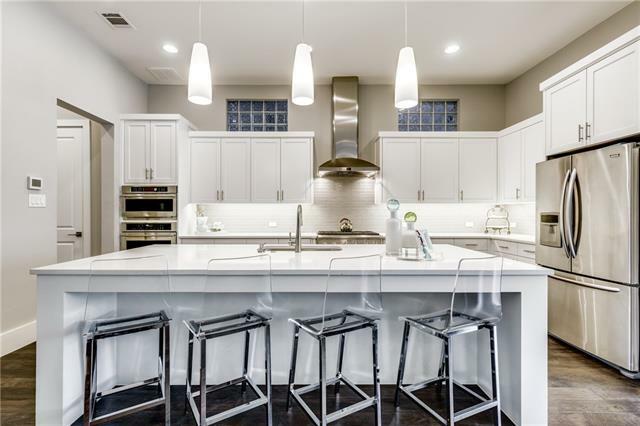 The adjoining Dining Area and the Kitchen’s large island with breakfast counter accommodate seating for formal or casual dining. 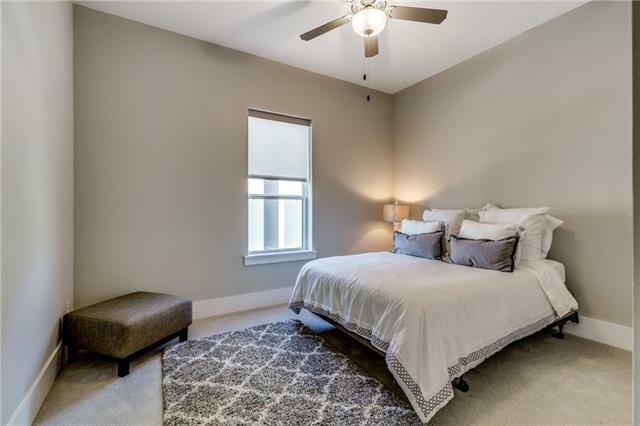 In addition to the Master Suite, two secondary bedrooms and a loft area are on the second level. 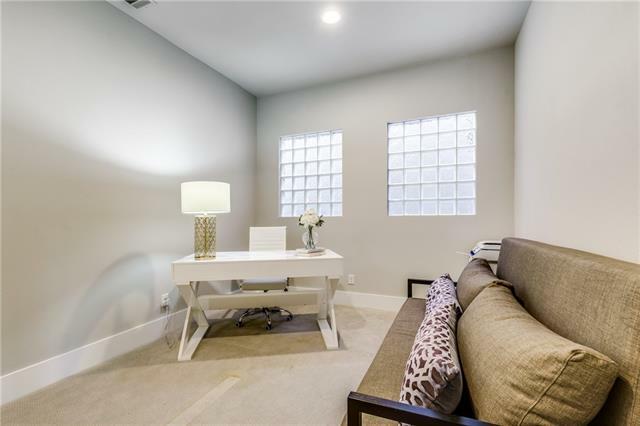 The loft space can be utilized as an office, playroom, library, or cozy sitting room. 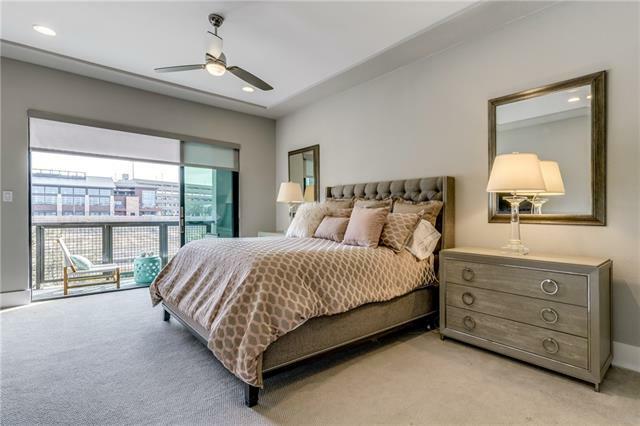 The Master Bedroom retreat includes a covered walk out balcony and an ensuite sophisticated spa-like Master Bathroom complete with impressive dual, hand finished, floating vanities with quartz countertops and accent lighting. 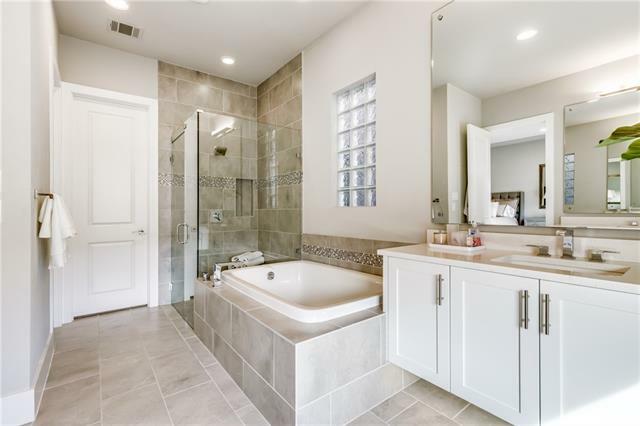 A spacious walk-in shower with a frameless glass enclosure and large soaking tub are beautifully accented with decorative mosaic tile. 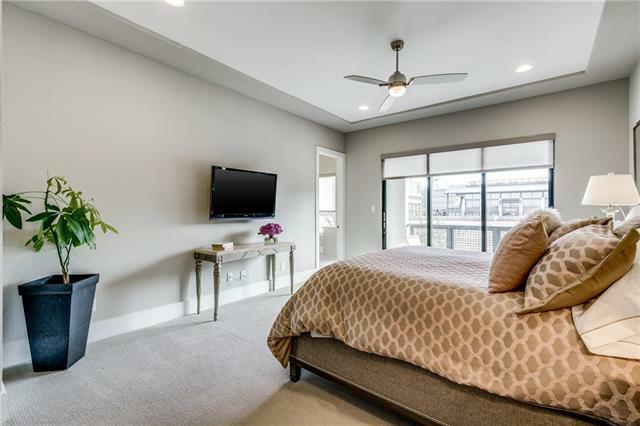 The two secondary bedrooms have ample closet space, one of which has a California Closet system installed. 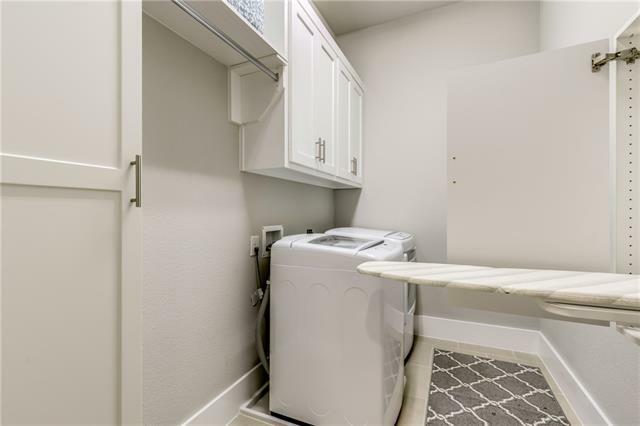 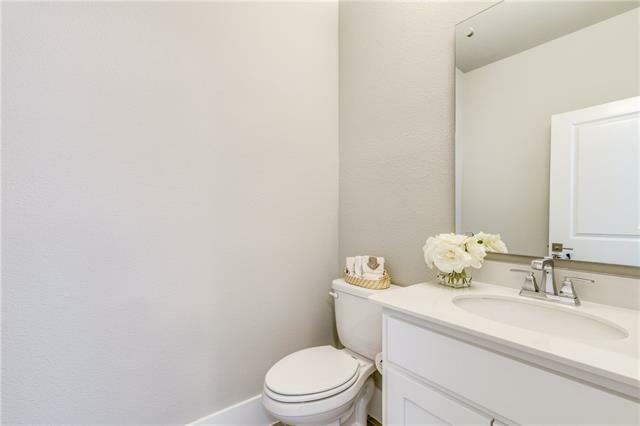 The Utility Room with built-in cabinets is conveniently located on this second level. 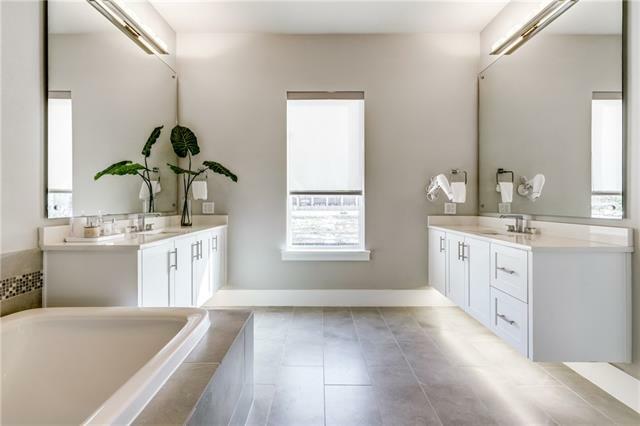 On the third level, the optional Game Room and a Half Bath were added. 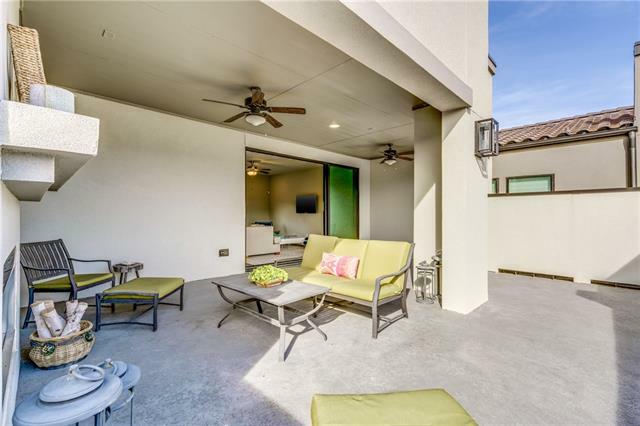 Enjoy the panoramic vistas and outdoor gas fireplace with colorful fire glass from the 492 square foot partially covered deck perfect for relaxing and entertaining. 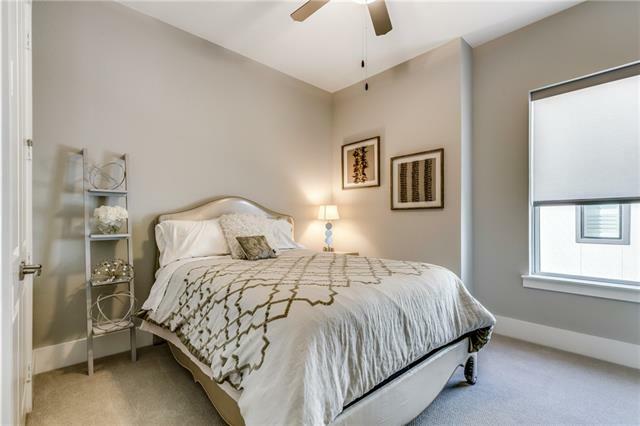 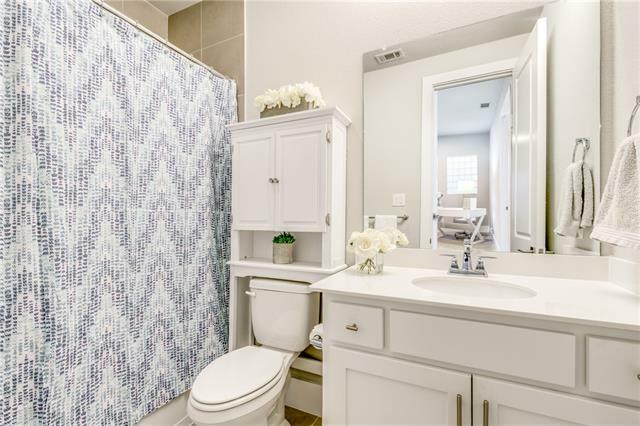 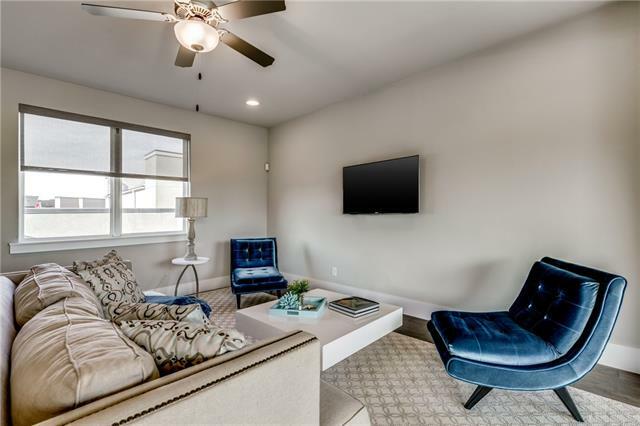 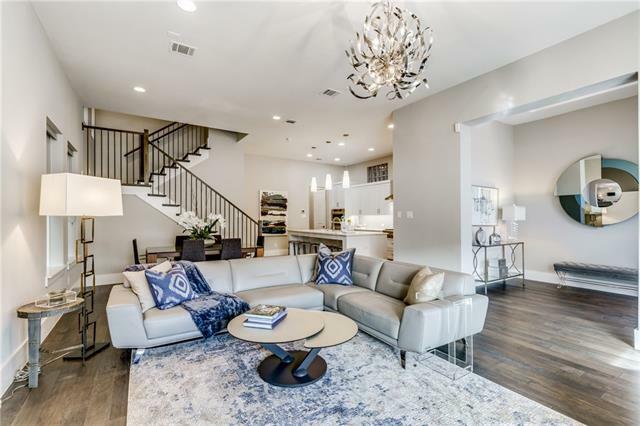 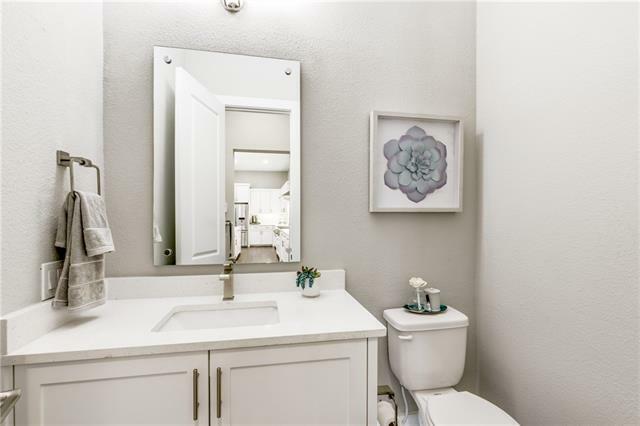 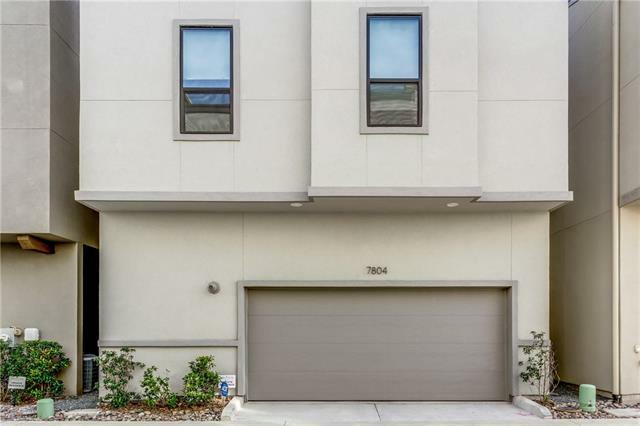 This exclusive home is situated minutes from the homes of corporate giants such as JC Penney, Liberty Mutual, Toyota, and FedEx and with convenient access to Hwy 121 and North Dallas Tollway.